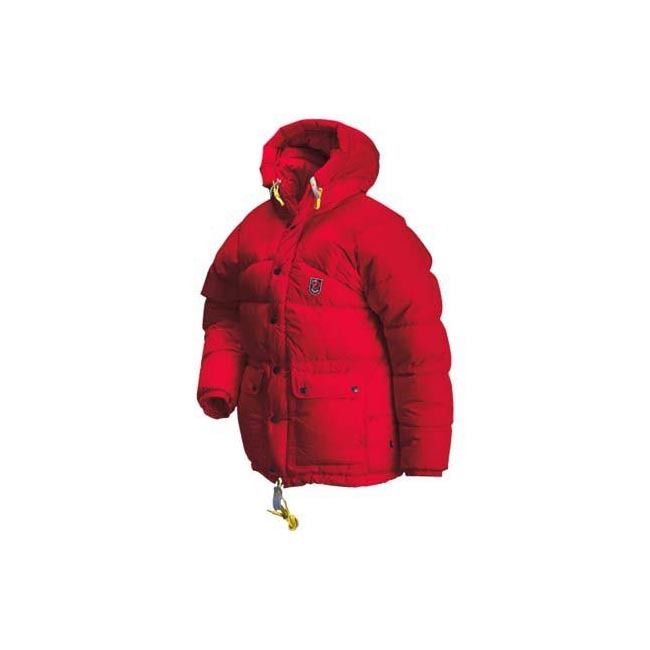 Reversible down jacket made from G-1000 Eco in recycled polyester and organic cotton, with polyamide lining and high-quality, insulating down padding. 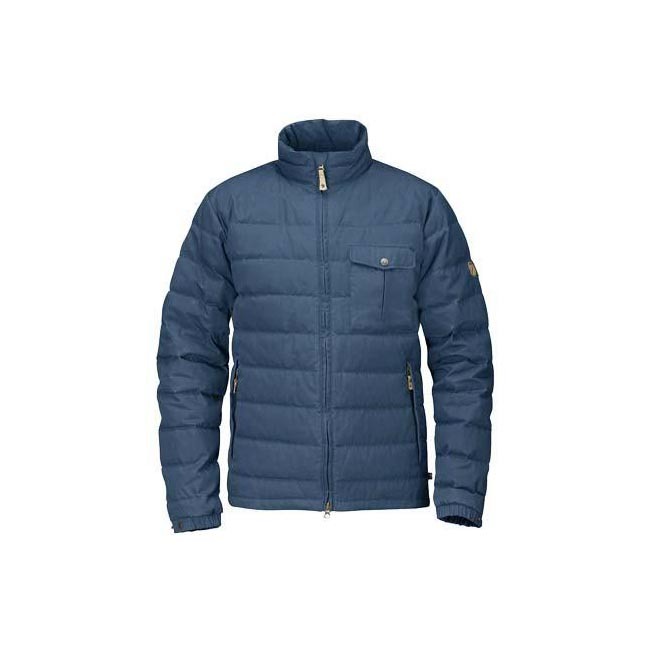 A robust reinforcement garment that can be worn either on top of or under a shell jacket. 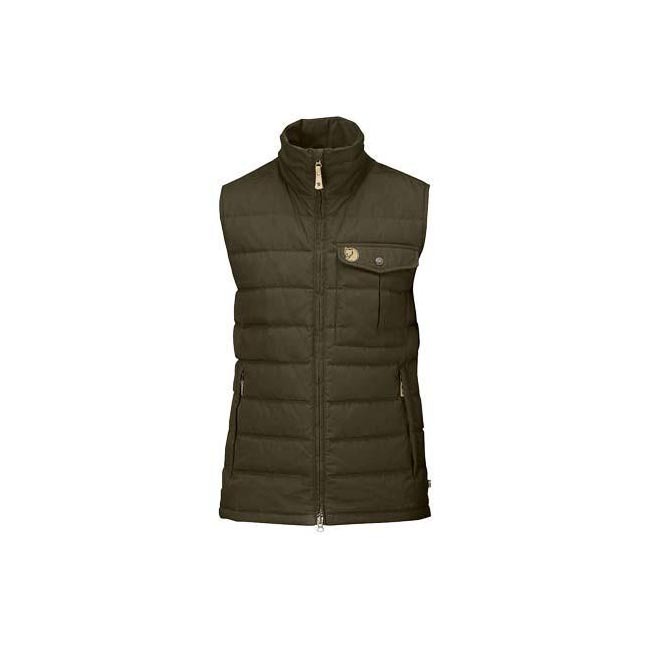 Gives the optimum combination of durability, warmth and practical functionality. 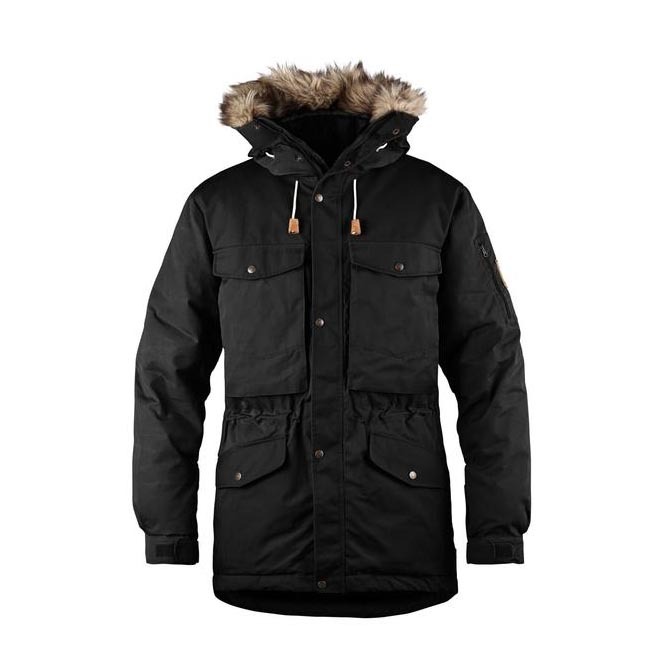 The fixed hood protects from cold winds and can be adjusted so it follows head movements. 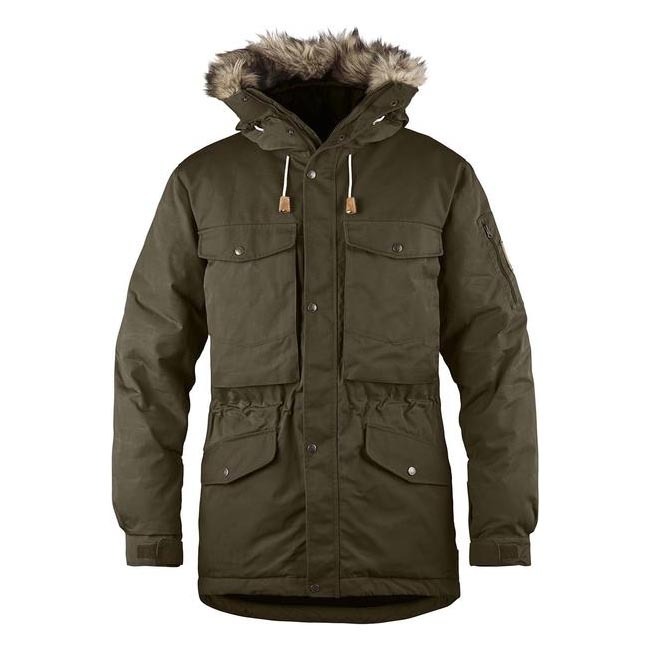 Cold hands can be warmed in zippered side pockets, which are placed behind two top-loaded pockets on the G-1000 side. There are also two zippered hand pockets on the blue side. Two-way zipper at the front with protective flaps on both sides, and press buttons at the top and bottom on the G-1000 side. Details are made from vegetable-tanned leather. 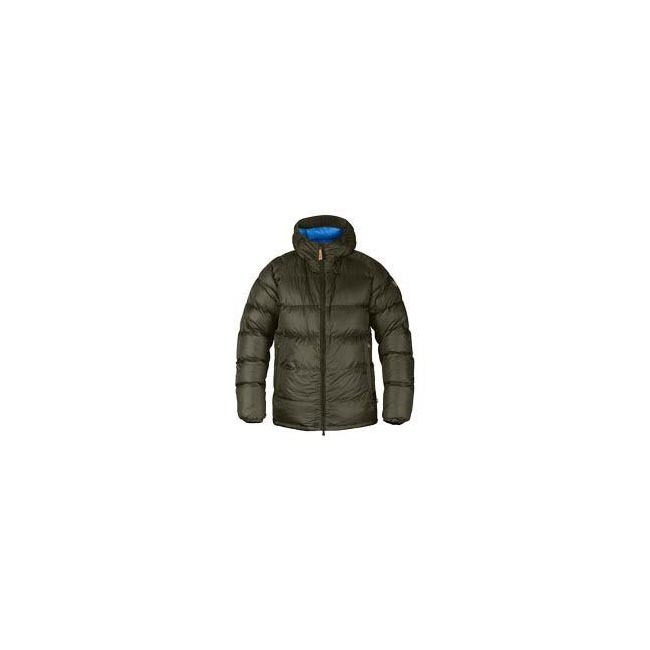 Down Jacket No. 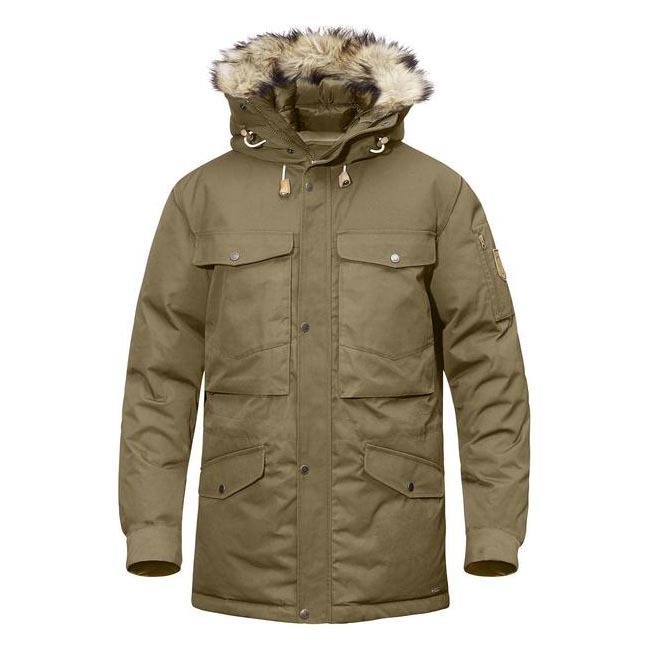 16 is wind and water resistant and the G-1000 fabric can be waxed for enhanced protection from the elements and wear. With the G-1000 side out it is a durable working garment. If visibility is to be prioritised, wear the blue side out – this blue is one of the most visible colours in all terrain and weather conditions. 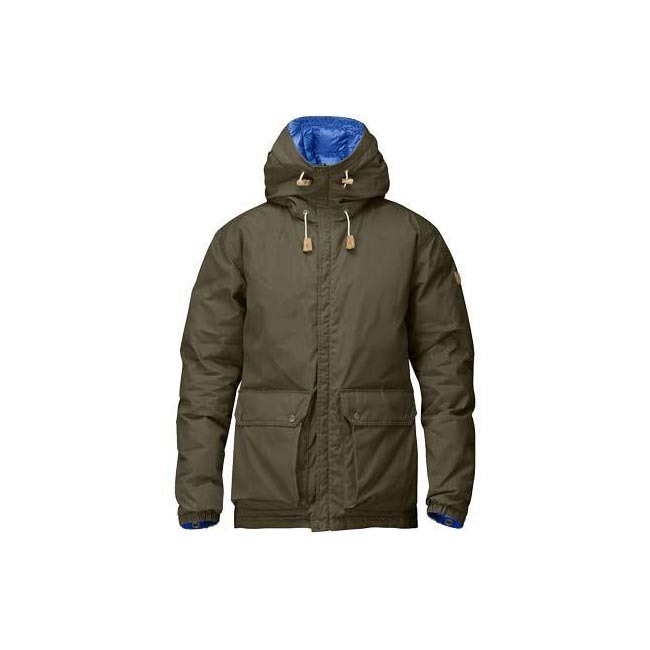 Part of the Fjällräven Numbers Collection.